Guerilla Games' PS2 "Halo-killer" Killzone joins the PS2 classics lineup on January 24th. The PSN release is a direct port of the original game, so no HD, trophies or any other modern doodads, just shooting, space-nazis and as much gray as your eyes can handle. It's being published as part of Sony's "Only on PSN" program, and will cost you $10. 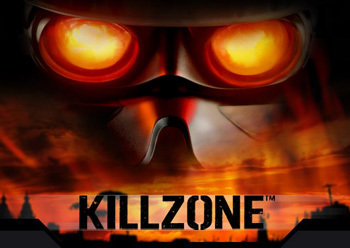 Compared to its successful sequels the original Killzone is a mixed bag. It was subject to a ridiculous amount of hype, with many publications touting it as a "Halo Killer," and, as you'd expect, the game had a great deal of trouble living up to expectations. The game's design, which bore more than a passing resemblance to Mamoru Oshii's work in theKerberos Saga, was great, but the game's performance issues and very limited colour palette didn't impress reviewers at the time. That being said, the underlying shooting mechanics are solid, the back-and-forth banter between the characters was occasionally funny, and if you're interested in the Killzone universe, then this is a no-brainer. Providing this port does away with the original's frame-rate issues then it's certainly worth your ten bucks. Cool. Wonder if it'll be playable on the Vita. Since, you know, the Vita doesn't have any real shooters at launch. I loved the splitcreen multiplayer on the first killzone game, so it will be great to play this again. Also, the weapons in that game are great. Can't believe they got rid of the alternate fire modes for all of the guns in Killzone 2 though. Woohoo! Finally I can replace my scratched disk of the original. I wouldn't mind an HD remake, but hey, ten bucks. I'm not complaining. If the framerate and slightly floaty controls are tightened up, it's a definite buy for me. Agreed, the Splitscreen was great fun. And the underbarrel shotgun attachment for the Hig Assault Rifle was vital for taking on those damn elites. Killzone was a pretty excellent shooter for a console for the time. Though it tended to be buggy as hell, still sits as one of the best console shooters I've ever played. I might just get this on the PSN, since I can't get it to run properly on my PS2 emulator. And this is a news story how? Halo CE (not the anniversary edition, the original one) has been on the Xbox marketplace forever and so have many other original Xbox games, but no one cares because well it doesn't really matter. Is this week so slow that you're forced to report this? It's a gaming website. Killzone is a game. It was announced that it was coming to PSN. This is news to me, hence why it is considered news. It's being published as part of Sony's "Only on PSN" program, and will cost you $10. I love that. They took away backwards compatibility and then say its available only on PSN. It isn't. I have one on disc. Stupid Sony. The framerate issues should be done away with as they were a result of the game being too taxing on the hardware. I somehow think that the PS3 can handle it. I think you'll find the additions to the classic Xbox lineups were well reported, particularly when Psychonauts was named as one of the games. As a personal rule, I only report on reissues when the game in question is particularly relevant. Killzone spawned one of the most promoted series on the PS3, yet it's game few of the series' fans have actually played. I'd argue that's relevant. I liked the game when I played it at my cousin's PS2, it had lots of interesting ideas for the time and the action was actually pretty good, but the frame rate issues ruined the game for me. I didn't care about the 10 or so shades of gray the game had, I just wanted to play the thing. I hope those frame rate issues were resolved in this port. Also, interestingly enough, the local multiplayer with bots was pretty fun too. Don't sell yourself short. This game's campaign is fairly long by today's standards. I remember it taking me around ten hours to beat. That's a very respectable time for an FPS. just out of interest which killzone game are we talking about? So when will the EU get our PS2 classics? I want God Hand dammit. Nice! Always been a KZ fan, in fact I just got Liberation on my bnd new PSP today so this will be a welcome addition (also it beat Halo in my opinion by having British Space Nazis). Odd, I always found the frame rate to be pretty consistent (if locked at a solid 30fps ALL THE TIME). Anyone buying this game, the grenade pistol is the most satisfying weapon in the whole game, use it at every opportunity. The first one. The second one clocks in at around 8 hours, and I haven't finished the third yet. Next question: Is it also available for the Vita? I've been deciding on which system to get games that are available to both games. A non HD shooter? Might look better on a smaller screen (squishier pixels)... not to mention, my expectations are always going to be naturally lower for portables. Because re-releases are more profitable than Backwards compatability. Wait, Wasn't Killzone 1 the one that sucked?